The Woman Shop in New Hands! My dear friends Kundan and Chandrakant Pattni have retired from ownership of The Woman Shop after THIRTY-THREE years of being there, day in and day out! Kundan was present at the meeting of the Kenya Quilt Guild where Pam Holland gave a lecture, and Kundan formally introduced the new owner, Sagar Shah, and his wife Kavita. Sagar and Kavita are a lovely young couple who bring to the task of taking over The Woman Shop a wide variety of interests, training and skills. Sadly, we probably won't see very much of them actually inside the shop, as they have other interests and will be very busy working behind the scenes. Nevertheless, Sagar seems determined and he's getting a good understanding of what's involved in running a shop that caters primarily to women who sew, quilt, knit, crochet and embroider. He has a head full of new ideas and I'm betting they are going to be good ones! 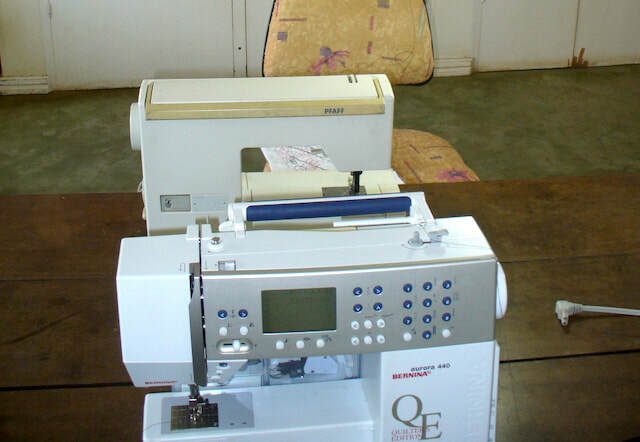 Right off the bat, Sagar has put all the Bernette sewing machines in the shop's inventory on sale--at 20% off!! That's a HUGE savings! Hurry to get yours before they sell out! I hear they are especially useful for Kenya's secondary school students taking courses in Home Science!! If you have not been there recently, be prepared for a little culture shock: the entire Sarit Centre is undergoing reconstruction. New parking facilities and tons of new shop space mean that Sarit keeps up, not only with the present, but with the future of retailing in Kenya! It's a fantastic, exciting time to be taking ownership of an established shop there, and we wish Sagar and Kavita Shah all the best!! Find The Woman Shop online at http://thewomanshop.net and on Facebook at ​http://bit.ly/2FRqlgb. 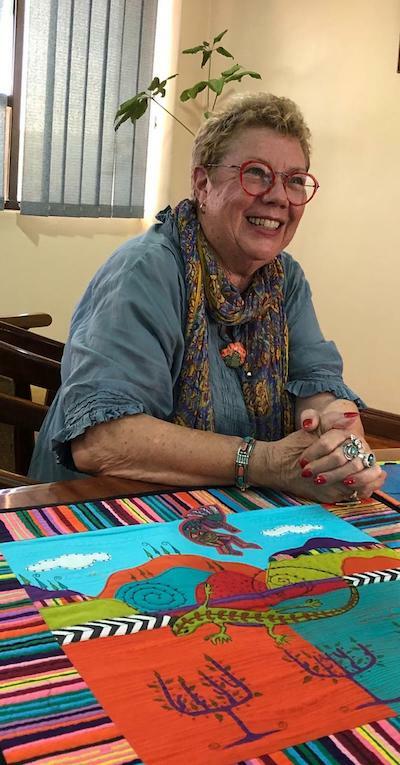 Pam Holland, world renowned quilt teacher, artist and afficionado, came to Kenya last week. 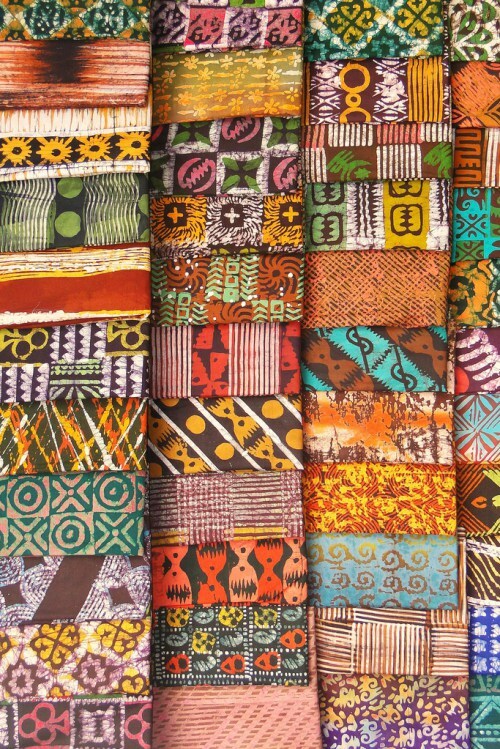 To the Kenya Quilt Guild, she presented a lecture in which she spoke about quilting, traveling and teaching. Pam has visited many amazing places in the world, and she has had some rather remarkable experiences in her travels, so the talk was much appreciated by all who attended! This week, Pam is teaching quilt classes to the Guild members. Among the classes on offer are "The Woman, Inspired to Teach," "The Amazing Alphabet," and "Geraldine." In each class, Pam shows participants how to make quilts using her highly specialized techniques. 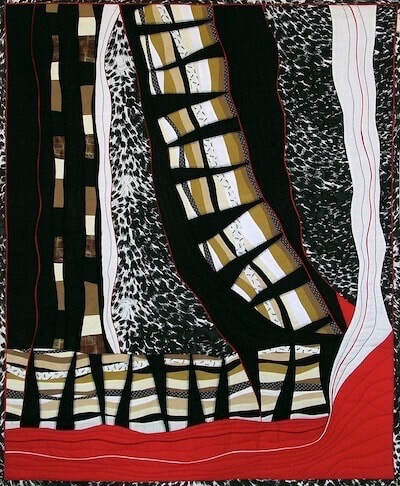 Drawing from her background as a photographer and fashion designer, Pam alters photographic imagery into line drawings, then executes the drawings with her designerly stitching methods. The results are sheer magic!! Famous for "The 1776 Quilt," Pam's major project now is her quilted version of The Bayeux Tapestry. She anticipates roughly another five years of work before it will be completed! 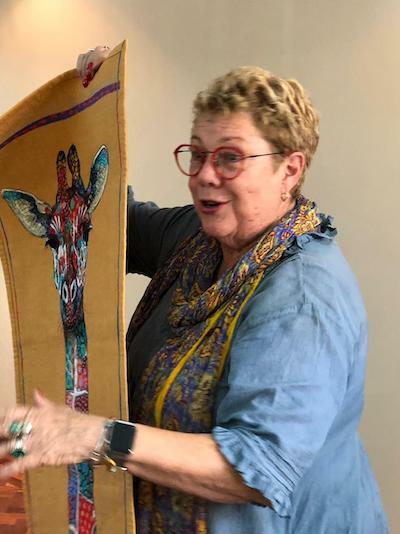 Kenya Quilt Guild members feel most privileged to be visited by such a famous and admired quilt teacher as Pam Holland. Thanks, Pam, for finding time in your busy schedule (10 months a year on the road!!) to visit our beautiful country. We hope you find plenty here to inspire new imagery in your work! ​Ask any group of patchwork quilters what they would like most, and the overwhelming answer will have something to do with making more time for quilting. We all know that "making more time" is a fallacy. There are only 24 hours in a day. The key to having more time for quilting is better time management. 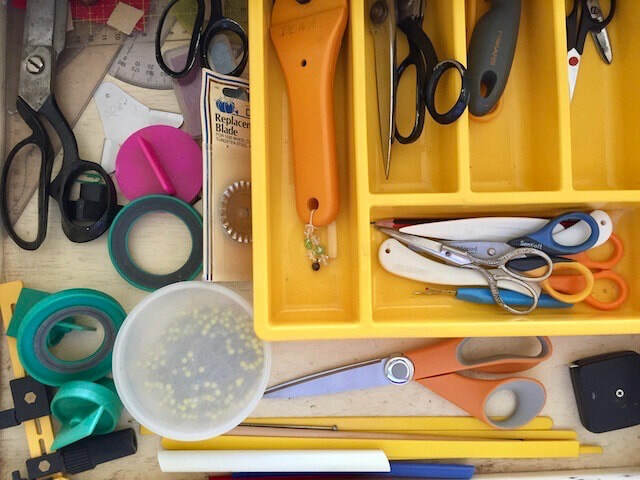 A long-time fan of To-Do Lists, I have a few suggestions to help you do just that--create more time in each busy day for your patchwork quilting. The guidelines I offer below are my personal, tried and true, methods for managing a To-Do List. If you follow them closely and regularly, I can virtually guarantee that you will become a better time manager, have much greater control over the tasks that consume your time, and find more free time for quilting. First, a word about digital tools to help you. My to-do list on Apple Reminders changes constantly. To keep your to-do list alive and vibrant, a similar digital app will likely be the best option. A quick search of the "best to-do list apps" will turn up a host of excellent products including ToDoist, RememberTheMilk, Wunderlist, Evernote and more! Each product, whether free or paid, whether for computer, laptop or phone, has its own benefits and drawbacks. You must do your own shopping for a product that will serve you best. The discussions that follow show you what to look for in any app you think to use. I do recommend, however, that you not pay for any such product until you are certain it possesses all the features you require. Instead, begin with any free app that came with your computer, laptop or phone, and upgrade only as and when necessary. It is not at all necessary for you to use any digital device or application to help you build and maintain an active to-do list. You can write your to-dos on paper, but if you use my organizational system, you should make sure you have plenty of pencils (don't use pens), erasers and paper! 1. Know the differences between notes, a simple list, a project list and a to-do list. Beginner time managers create a to-do list by jotting down any relevant thoughts they have. Often, these ideas are mere notes. ​Sometimes, they may form a simple list, like a list of clothing to pack for a journey or a list of quilts to include in an exhibition. Frequently, what appears is a project, like "trip to France" or "guild exhibition." Occasionally these ideas will be actual to-do tasks, like "pack for trip" or "call for quilts to be delivered." It is most important that you learn to recognize the differences between such thoughts, and to put each thought into the right kind of receptacle. NOTES contain information. Someone's telephone number before you enter it into an address book, directions to a shop suggested by a friend, a new recipe you want to try soon, and the name of a new magazine or website that you want to see--these are the stuff of notes. There is not a proper to-do task among them. SIMPLE LISTS are itemized lists of information. For example, a list of the dimensions of all the windows in your house for use when you buy or make new curtains is a simple list. You might create a list of websites you intend to visit during the next week, or the all-time classic shopping list for purchasing groceries. Again, the list is not a to-do list because there are no tasks involved. Like notes, simple lists are informational. Creating a PROJECT LIST is the first step toward building a to-do list. The significant difference is that, although the projects look like tasks, each one can be broken into a set of more closely defined tasks. You might have a project called PTA, and know this project will involve meetings with your childrens' teachers, baking cookies and cakes for fundraisers, and attending school functions. Your quilt guild might become another project full of well-defined tasks that more rightfully belong in your to-do list. A TO-DO LIST contains only those tasks that you must or want to do each day. It may be that your lifestyle requires you, each day, to walk dogs, cook dinner, make beds and do laundry. You may want to call a friend, read a book, bind a quilt and reorganize your clothes storage space, discarding a few items as you do so. Each of these tasks may be part of a larger project, but each one is listed in its simplest possible form in your one and only To-Do List. I repeat myself for greater emphasis: "listed in its simplest possible form in your one and only To-Do List." For example, "walk the dogs around the block four times, then cross the highway and walk them through the park and back again, all in 40 minutes or less" is not the simplest possible form of a to-do. The only words necessary to describe this to-do are "walk dogs." Only if you cannot remember where and for how long you should walk the dogs should you write all the rest of that detail. To-Dos are simple reminders of imminent and upcoming tasks, so keep them as simple as possible. That makes it easier and more efficient to write/rewrite or move them, thus saving time immediately. 3. Build only one to-do list! There is a huge temptation to build a separate to-do list for each major project you tackle. You might, for example, have one to-do list for everything you need to do to complete the construction of a set of quilts: cut one, piece another, quilt a third and bind a fourth and so on. Then, you could have a set of to-do's for a weekend of entertaining. This one would include all the steps you must take to shop and prepare meals, make sure guest rooms are kept in good order, and coordinate wines with food. The trouble with this kind of structure is that it does not permit tasks to be mingled. You are only one person, and your time passes in a linear motion. You cannot be working on quilts in one room and cooking a meal for guests in another--not unless you have all your tasks listed in one set. With only one to-do list, you can arrange tasks throughout your busy day, tasks that play off each other, tasks that fit comfortably together in terms of space and time, and tasks that keep all the activities of your day flowing smoothly. To plan a project, consider using a mind-mapping tool. My personal favorite is Scapple, although I have used FreeMind and FreePlane in the past. Create the mindmap to include all aspects of project development, and then extrapolate tasks from the mindmap and transfer them to a proper to-do list. If you have a digital task like "visit my friend's new site," it may save time to include the url for the site along with the to-do list entry, especially if you have the link at the time you add the to-do to your list. Likewise, if the task involves writing, reviewing or editing a document on your computer, add a link to that document. Check your to-do list frequently during the day. Use it to remind you of what needs doing, and to help you stay organized to do those things. Clean up, reorganize and reschedule to-dos as you must. It takes only a minute or two to stay on top of your to-do list several times a day, but the pay-off is huge! Set a projected time for undertaking and completing each task. Set reminders as notifications on your phone or other handy device to help keep your activities targeted. Remove tasks from the list only as they are completed; otherwise, move them forward to the next day. Delete completed tasks only if they do not recur. If they must be repeated on a daily, weekly, or other scheduled basis, work with instructions to repeat. ​​Make sure your app permits this kind of scheduling, for it will be most valuable for weekly, monthly and yearly commitments. 6. Focus on today by pushing incomplete to-do's forward to the future. Check your to-do list first thing each morning. What is on your list that you already know you will not or cannot do that day? Move such items forward to the next day. Each day's tasks will rise to the surface, and those better left for other days will move forward, leaving you with a manageable schedule. Some tasks cannot be completed until some outside action has been taken. Say, for example, you cannot file income taxes until you receive a report from your auditor. Push such tasks forward until a reasonable amount of time has passed. Then, for example, if you have not yet received the audit, add a task to nudge the accountant to provide it so you can complete the original task of filing income taxes. If you find a task on your to-do list that you know cannot be completed until next week, push that task forward by as many days and forget about it until then. Pushing tasks forward reduces the number of tasks you must or want ​to do today. Far from mere procrastination, pushing tasks forward by a day or more has the surprisingly desirable effect of prioritizing your activities. If brushing the dogs is not as important to you as binding that new quilt, the dogs can indeed wait another day or two before being brushed. By pushing that task forward, you clear space for the more appealing job of quilt binding, knowing full well that, once the binding is on, you will have plenty of time to brush the dogs without feeling impatient and short-changing them because you really want to finish that quilt. Priorities change constantly! Never waste your time setting up little icons or numbers to signify priority. Instead, keep your today's to-do list limited to those tasks you absolutely must or want ​to do within the amount of time you have. 8. Review all to-do's twice a day, morning and evening. Review your to-do list first thing each morning. See there at a glance what must be done during the day. Push forward anything that must be done until the next day, if you can. If you cannot push a must-do task forward, do it immediately. Get it done and out of the way. Then, you will have more time for want-to-do​ activities like quilting! Similarly, as your day draws to a close, review your to-do list again. Remember and congratulate yourself for any difficult, tedious or rewarding tasks you completed during the day. Notice any tasks left unfinished, and push those forward to the next day. Before you sleep, make sure there are no to-do's left in the list for that day. In the morning, take stock of that new list and move any low-priority tasks forward by another day or more. 9. Identify must-do tasks, and work to eliminate them. Must-do tasks are often repetitive and boring, but necessary, drudgeries of life. Usually, they involve your household, job or family. Often, you participate in doing these tasks under some duress. You may feel it's your job to wash the dishes or to shop for groceries or to answer a caller at your door. For each such task, ask yourself carefully: "Is it really necessary for me to continue doing this task? Is there another way--a better way--to accomplish it? Could someone else do it--partner, child, parent or employee?" For example, if you are expected to mow the lawn once a week, perhaps you could hire a local teenager to do the job for you. If money is an issue--sell a quilt! For each such task, ask yourself carefully: "Is there someone else who could do, or help do, that task?" Are you delegating household or communal affairs in an equitable manner? Are you being fair to yourself, or do you feel imposed upon when expected, for example, to cook dinner every night? Let's face it: the more you can push must-do tasks aside to someone else, the fewer of those tasks you have to do yourself. In truth--and here's the important part--eliminating or shifting must-do tasks to others is a primary way to make time for want-to-do ​tasks for you! This is particularly the case when it comes to family. The more you expect family members to look after themselves and their belongings, and to contribute to the overall wellbeing of the household, the sooner they become self-sufficient adults, regardless of age. They will give you more respect, as well as more personal space and time. If you think that soliciting assistance from family members is selfish, give some thought to all the things you do, and likely have done for many years, that helped those same family members accomplish their personal goals. If asking for help to free your time from these onerous tasks is selfish, only you can say whether you are being too selfish. As you continuously review your to-do list, you will find certain tasks suddenly seem far less important than when you first added them to the list. Perhaps circumstances outside your control have changed. Perhaps something has happened that negates the merit or necessity of a particular task. Perhaps you simply realize that you really do not want nor intend to do that job! By culling unimportant tasks, your to-do list can be maintained at a lower and less taxing level. 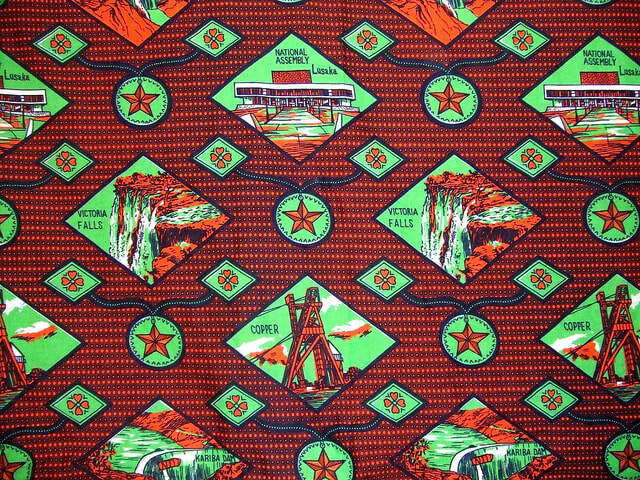 Whereas, it may have seemed highly important to finish a quilt for someone for their birthday, you may have come across the perfect gift in a local shop or online. Perhaps that quilt can be gifted during the holidays in December instead of at that July birthday party. This kind of happenstance goes far towards lowering your stress levels by shifting the time barriers for completing work. Acknowledge the genuine must-do's that only you can accomplish. Get on with doing and completing them in a timely manner. Bite the bullet and do not procrastinate; just DO them! Equally, be honest with yourself about the want-to-do tasks. Listen to your heart and be realistic about what is possible and what is not. Control your creative urges to the extent that you do not take on too much. Doing so only means having to push more unfinished tasks forward, and eventually removing them altogether from your to-do list. Why put them on the list in the first place?! Instead, pick and choose your projects carefully, learning not to begin a new one until the last one is finished--no UFO's--hurray!! Do not be easily swayed by advertising and promotions into thinking that you have to buy, have or use every new book, magazine, class, gadget, fabric or trim that comes along. Such things come and go, and you do not have to be pressured into doing anything you do not want to do. In a nutshell, then, control your time by carefully selecting and managing your projects and their tasks. Put YOURSELF in charge of your time and how you manage it. 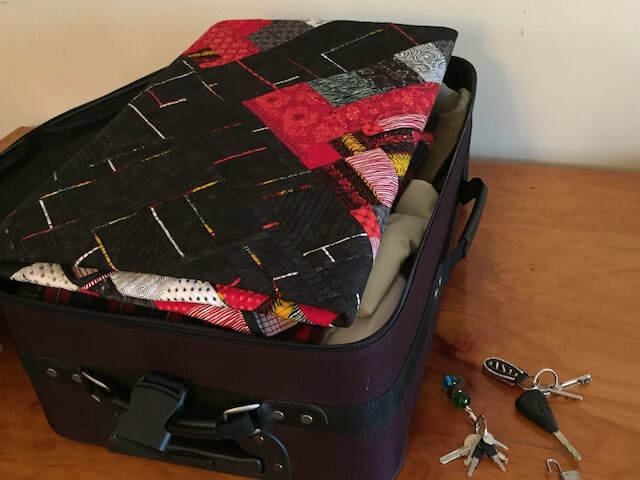 If you truly want more time to quilt, this is the best--indeed, the only--way to find it! If this article makes sense to you, and if you believe you can or have benefitted from it, please leave a comment below. If you know someone else who needs advice about how they manage their time, please forward this article to them. 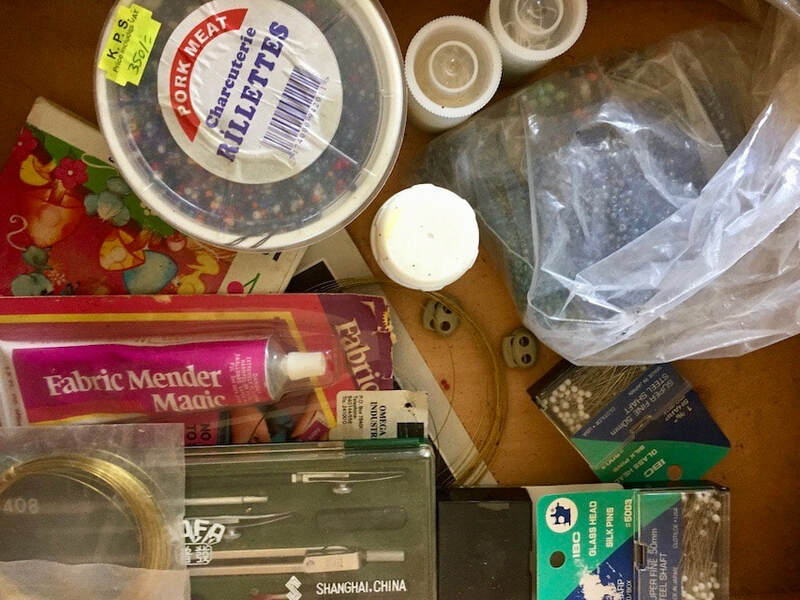 And, if you want to receive such assistance with your quilting space, time or money management, sign up to receive my newsletter. Thanks for your help and support! Much has been written in the art world as well as in the quilt world about color. This article assumes that you already know something about color, especially the use of the color wheel. One of my favorite resources is Jinny Beyer’s Color Confidence for Quilters, NTC Publishing Group, 1992, which is still in print. I often use Jinny’s color chips when I work on a commissioned quilt. 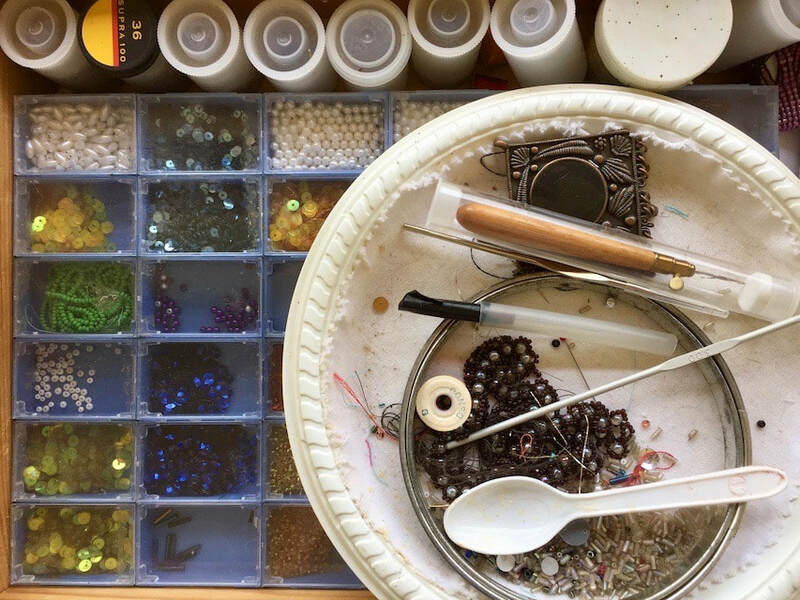 They are very convenient to carry with me, and they help me create a palette of the colors already present in the space where my client’s quilt is to hang. You can learn a great deal about color from any of these sources. The color wheel is a very useful tool once you understand it and know how to use it. 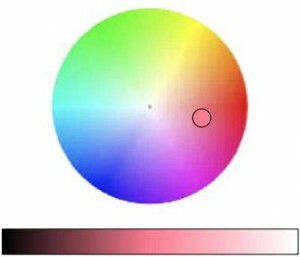 Any color palette can be analyzed with the help of the color wheel in terms of one of the color schemes we discuss below. Each scheme has its own look and its own use. Quick identification of the kind of color scheme you build helps you find the missing pieces in the palette. A monochromatic color scheme is what it sounds like: one color. It uses only value (lightness or darkness–whiteness, grayness or blackness) to create interest. An analogous color scheme uses colors that lie next to each other on the color wheel. Illustrated at the same distance from the center of the color wheel, these adjacent hues have the same value. 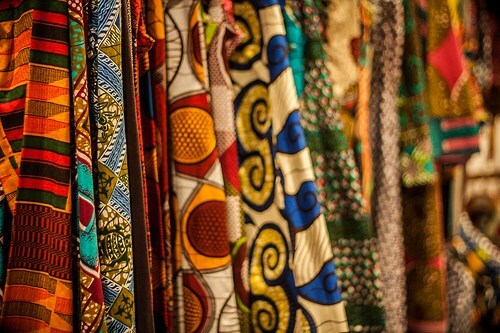 A complementary color scheme uses two colors that lie opposite each other on the color wheel; for example, yellow and purple, blue and orange or red and green. These are the three basic color schemes every patchwork quilter should know: monochromatic (one color), analogous (two adjacent colors) and complementary (on opposite sides of the color wheel). 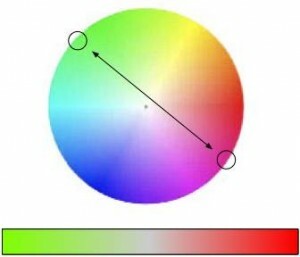 There are other definable color schemes, but they are all derivatives from these three basic concepts, using other selections of colors from around the color wheel, plus value (lightness or darkness--tints or shades). When colors become grayed by the addition of both black and white, things get even more interesting! So, quilters: choose your colors! Pick whatever pops out at you, then echo it in tints and shades. Find its neighbors and their opposites on the color wheel. Add a splash of contrast, and create something bold and perhaps even a little startling! Most important of all, learn to trust your instincts when it comes to color. No one else in the whole world sees color exactly the same way you do. There are no rights or wrongs; there is only what works, and what does not work. With a little practice, you will soon learn how to spot in a flash what does not work, and to take appropriate steps to replace that misfit! 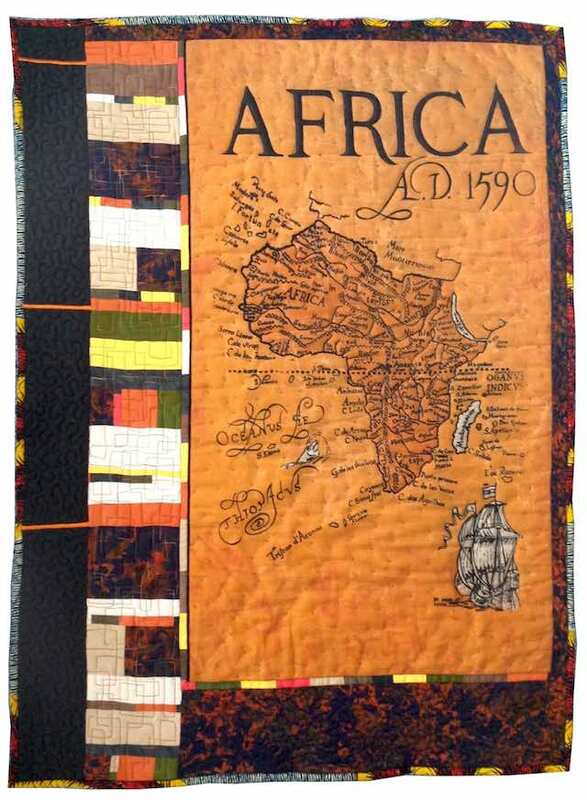 Some of content of this article came from one of my online quilt classes. Join me for always-popular Darned Quilts! 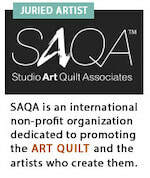 You will receive a FREE online quilt class, Sudoku Quilts, when you subscribe to my newsletters. To do so, simply find one of the sign-up forms on my site (check out the sidebar on the blog), and enter your email address. You will be redirected to the class page, or you will receive an email with link to the FREE online quilt class, Sudoku Quilts! I hope you will enjoy both the class and the upcoming newsletters! Special note: There's an added give-away included . 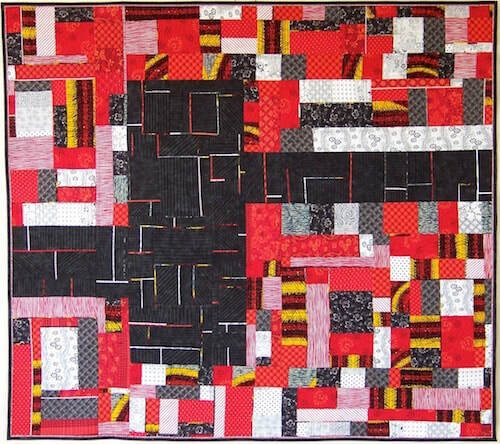 . . a FREE pattern for this quilt, Whirligig!! ​Thanks for your support, and please share this post with all your friends so they receive the same super gifts you do! ​Oh--and if you've already signed up for my newsletters but did that before this offer became effective, use the Contact form to let me know, and I'll email you the link!